I’m not really a “pack rat” sort of person. I don’t save a lot of stuff. My wedding photos were boxed up and returned to my former husband. When a friendship ended, I returned an important gift he gave me. Because I associate gifts, items with the giver, I tend to give everything away once someone has left my life. However, I do hold onto some items and those items mean the entire world to me. This brings me to my amazing box of stuff! 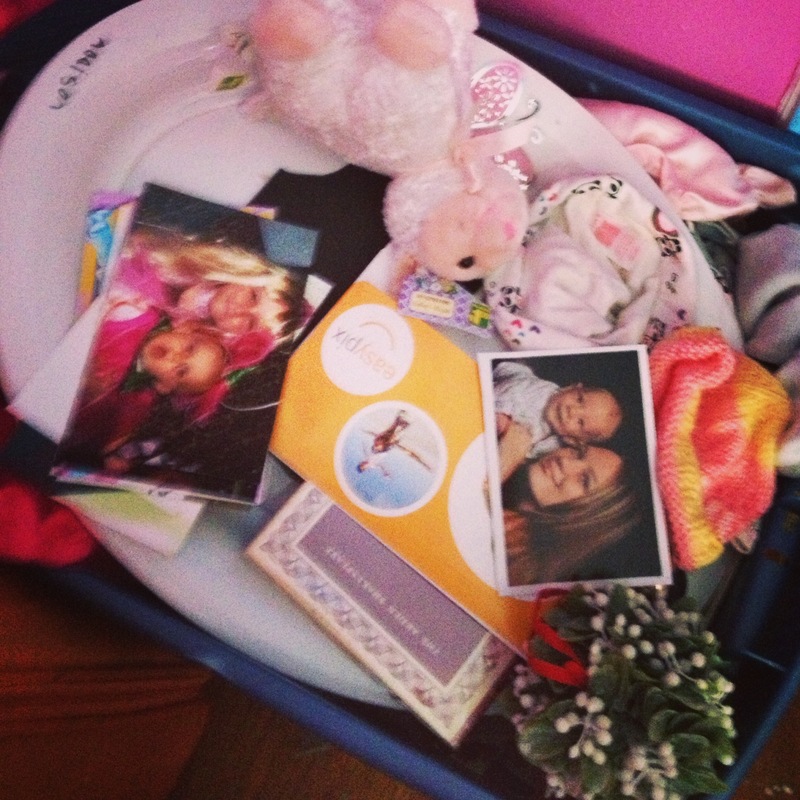 My amazing box of stuff contains all of the things that mean the most to me. My daughter’s hospital bracelets and sonogram photos, photos of friends, school pictures, artwork, my yearbooks & the outfits they wore home from the hospital among other things. There’s also my old journal, ticket stubs, a necklace, a cork, and a copy of Julius Caesar that was meant to be both a gift to welcome someone home from a trip & encourage them before their semester started, but never got a chance to give (yes, I ganked the idea from One Tree Hill). There’s all sorts of interesting things in my amazing box of stuff. 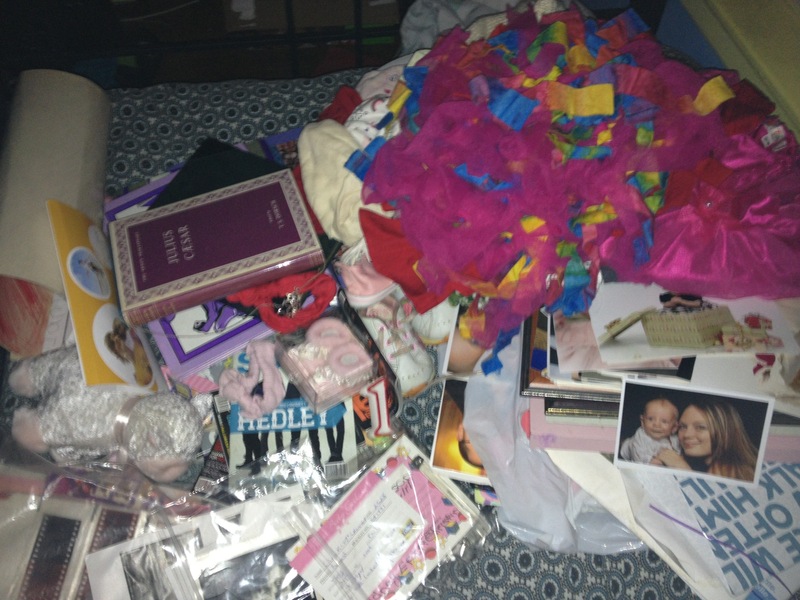 My amazing box of stuff holds things that remind me of all the happiest times in my life and it sits in my room near my closet. 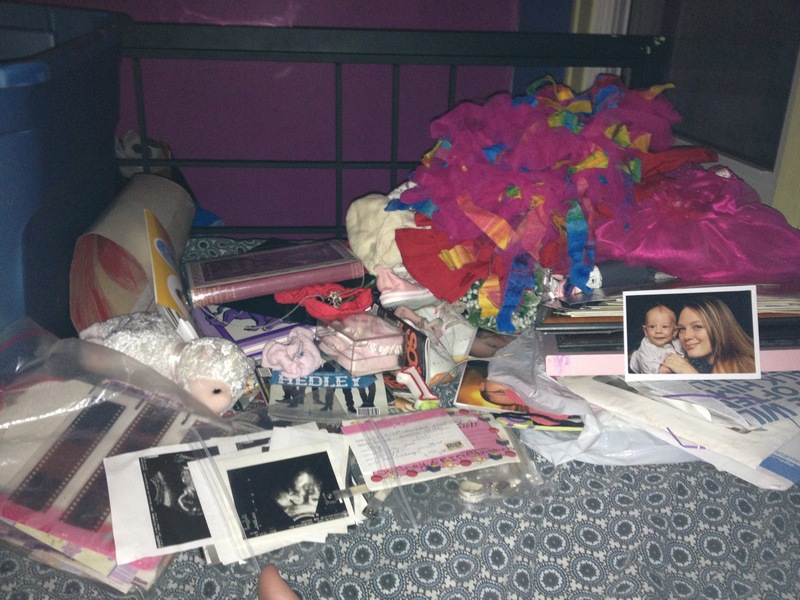 When I have crappy days, I like to go through my amazing box of stuff and remind myself of those amazing memories and moments. While not everyone will understand all of the random things in my amazing box of stuff, they all hold very important memories for me. So, while I don’t hold onto a lot of stuff, I do hold onto things that remind me of the most important days of my life. I hope to add many more things to my amazing box of stuff and hopefully, someday, I’ll need a bigger box to house it all.